This college admissions guide will steer you through the tasks you should complete during your senior year of high school to maximize your chances of getting accepted by your top choice colleges. Click on a month below to find out what steps you should be taking. You stand on the brink of an exciting and potentially life-altering year. If you heed this advice, you’ll be ready to hit the ground running as soon as you hear that first period bell. You’ve completed a whopping 75% of your high school career. It’s time to step back and conduct an honest assessment of your academic and extracurricular progress. Are your grades stellar across the board? Are you content with your standardized test scores? If there are any areas that need improvement, now is the time to review and to prep. Sure, summer is all about getting a fantastic tan on the beach (though we recommend using sunscreen). However, more importantly, it’s a time to explore and to seek out new experiences. Think about engaging in a meaningful activity such as community service or travel. You can also take advantage of this extended vacation and conduct some career research. Visit online sites, inquire about shadowing a professional for a week or even try to land an internship. These experiences will surely help inform your decision when trying to decide on an academic program and/or major. Obviously, it would be incredibly time consuming and prohibitively expensive to apply to every college and university in the country. Therefore, you’ll need to thin out your list and determine your top choices. We recommend applying to between 6 and 12 schools. If you’re having trouble deciding which schools will make the final cut, consider embarking on some campus visits this summer. If you’re unable to travel, you can always take a virtual tour (as an added bonus, there’s less of a chance that your parents will embarrass you). Before you get bogged down with assignments, take a moment to assess your academic and extracurricular progress. Are your grades and test scores where they should be? Have you demonstrated commitment to activities outside of the classroom? If there’s any area that calls for improvement, now’s the time to address it. Sometimes high school just feels like a constant stream of scantron sheets. However, you’re in the home stretch. In fact, it’s your last opportunity to take the SAT (October/November) and/or the ACT (September/October). Register ASAP and continue (or start!) prepping! You’ve worked diligently the last three years; don’t let it all be for naught. Meet with your guidance counselor/advisor to confirm that you have your college prep and graduation requirements locked down. College application season has arrived! Talk to your parents and guidance counselor/advisor to hammer out your final list (should be roughly 6-12 schools). Once you’ve decided on the lucky contenders, you can begin working on first drafts of your college essays. As always, be sure to update your Personal College Resource File, including work, achievements and community service. This will definitely become a useful tool when filling out all those apps! The clock is ticking; you’ll have to start making some big decisions soon. As you narrow down your list of schools and/or future plans, it’s imperative that you talk with your parents and your counselor/advisor. Review your academic progress to date and your questions/concerns for the upcoming year. Which colleges are realistic options? Which have programs that appeal to you? How far away do you want (and will your parents allow you) to go? If you’re still not set on a final list, be sure to attend any local college fairs or meetings with college reps at your high school. And, if possible, find a time to schedule some campus visits. Your window to take the SAT or ACT is quickly closing. Both tests will be administered in October. If you need to sit for either exam, register now! Ultimately, many students decide where to attend college based upon the financial aid packages they receive. To maximize your options, be sure you continue researching scholarship and aid opportunities. You’ll be surprised at how much you can uncover. Even if you haven’t hammered down your absolute final list, you can (and should) begin to work on your applications. Start filling out the Common App, seek out teachers for recommendations, brainstorm essay ideas. The more time you allot yourself, the more likely you are to craft a strong application (and one without errors). You know the drill – community and extracurricular involvement are important for personal and academic growth. Despite the time consuming nature of college apps, you should definitely continue your participation. And once again, consider taking on a leadership role. It’s tough to bask in being the king of the school when there’s so much on your plate. Review the bullet points below to ensure all your proverbial “Ts” are crossed. That way you can resume worrying about the important things like who you’ll take to the prom. Application season has arrived in full force. Even if you haven’t quite finalized your list of schools, you should be working on those apps! Be sure you include a few safety schools, a few target schools, and a few reaches (you never know!). Regardless of which universities you end up choosing, make sure you know their deadlines for admission and scholarships (hint: If you’re planning to apply Early Decision or Early Acceptance, your due dates are nearing). Look – we’re sympathetic. We realize that between homework, college apps and your hundreds of extracurricular commitments (we rounded up), you’re deluged. However, it’s imperative that you don’t slack on your scholarship research. Look for scholarships at the colleges to which you’re applying as well as outside opportunities. The more legwork you do now, the better position you’ll be in when those admissions decisions start hitting your mailbox (or inbox). With deadlines looming, it’s important to finally square away your letters of recommendation. If you haven’t already, approach your teachers ASAP. After all, it’s wise to give them sufficient notice. The more time they have to write and reflect, the stronger their letters will be. Remember what we just said about deadlines looming? That also holds true for your standardized tests. Now is the time to decide whether or not you’re going to retake the ACT/SAT or any SAT Subject Tests required or preferred by the colleges on your list. Finally, it’s important to stay organized throughout this entire arduous process. To help ensure that you’re on top of everything, take a moment to update your Personal College Resource File. Application deadlines (typically November for early admissions and January for regular admissions) are fast approaching! Carefully review all of your materials to make sure you’re on target. After all, you don’t want to miss out on your dream school because you missed a date! 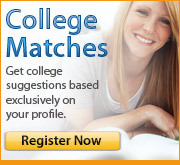 Are there colleges on your list that require any SAT Subject Tests? If so, now is the time to sit for those exams. Financing a college education can be difficult and stressful. Talk to your parents about financial aid and how much they will contribute to the cost of your education. Once you have an understanding of where they are coming from, start to research outside scholarships. You can check with your parents’ employers, church, or local civic organizations. Additionally, download the College Scholarship Service Profile (CSS Profile) to begin the financial aid application process – IF required by your colleges. Soon enough, the hard work will be over and the waiting game will begin. Of course, if you miss the deadlines, you can’t play the game! Be sure you complete the remainder of your applications by their respective January 15th and February 1st deadlines. Did you apply to any school either early decision or early acceptance? Were you rejected or deferred? Keep your chin up and concentrate on your regular decision apps. Don’t worry; everything will fall into place. If you got in – congrats! Be sure to respond to any important letters and submit the necessary paperwork. We know with the holidays around the corner, there are parties to throw and gifts to purchase. However, it’s imperative that you pull your parents aside and begin working on the FAFSA (available online at FAFSA.org). By now you’ve clearly finalized your list of schools (hopefully). If you still haven’t had the chance, see if you can schedule a visit to as many schools on your list as possible. This will prove to be extremely valuable once those admission decisions begin rolling in. As a high school senior, it’s very easy to continually look towards the future and not focus on the present. However, don’t lose sight of your current responsibilities (scholastic and extracurricular). You need to remain in good standing academically in order to graduate and retain your college admission offer. College is an expensive investment. Make sure you complete the College Scholarship Service (CSS) Profile and the FAFSA. Don’t stop there! You should continue researching scholarship opportunities. Deadlines haunt us and yet they cannot be ignored. You should complete any remaining college applications, along with apps for honors programs, dual-degree programs, ROTC, etc. You’ve heard this numerous times before: the best way to get a feel for a college is to walk around the campus. If you have the opportunity, use this time to visit the schools that made your final list. You’ll thank yourself when admissions decisions start rolling in. We cannot stress this enough; for many college bound students, financial aid is essential. Talk to your parents to be sure that the FAFSA and other financial aid documents are being submitted on time. And, as always, continue to research scholarship opportunities. You’ve fantasized about donning that cap and gown for quite some time. Make sure that moment becomes a reality! Meet with your counselor to be sure you are on track for graduation. Are you feeling anxious and overwhelmed by the college application process? Are you nervous about leaving your home and familiar surroundings? It’s quite normal to feel uneasy with so much change headed your way. Talk to your peers, parents, and counselor about your emotions. We promise you’ll feel better (and get some sympathy to boot). Write "thank you" notes to teachers for their recommendations. While they might not have guaranteed you a spot at your dream school, they did do you a favor. If you’ve already received an acceptance or three, congrats! Begin making plans to visit your potential new schools and start reviewing housing options. After all, just like college in general, some dorms will be a better fit than others. It’s imperative that you make sure that your FAFSA and other financial aid documents are being submitted on time. Additionally, you should be reviewing financial aid scholarship offers with your parents. And naturally, continue to research scholarship opportunities. Once you’ve been admitted to a school, you should aim to schedule a campus visit if at all possible. You want to get the best sense of all of your options before you make the ultimate decision. If you’re confident about your number one choice (and you’ve been admitted), send in your enrollment and housing forms/deposits asap! We realize you’re probably in full blown second semester senior mode. And while we want you to enjoy yourself (you’ve earned it), don’t lose track of the work that needs to be completed. Seriously, we really can’t stress this enough: review your financial aid offers, apply for student loans, etc. Make sure all supplemental forms are turned in and continue to research scholarship opportunities. Many scholarship deadlines fall way after general college application deadlines. You’ll likely have to send in your enrollment and housing deposits by May 1st, the National Candidate’s Reply Date. Therefore, these next few weeks will be your last opportunity to scope out the schools to which you’ve been admitted. If possible, schedule any last minute college trips. You want to feel confident when you make the final decision. Once you have selected your chosen school, notify the colleges you were accepted to but do not plan to attend. It’s completely understandable (and acceptable) if you don’t have a desire to attend a four-year college directly out of high school. Plenty of successful people take alternate routes. However, you still need to explore post-secondary school options, whether it be community, vocational or technical school/college. Summer is soon to arrive. It’s time to begin mulling over plans (in addition to hanging out at the town pool). Graduation is nearly upon you. Please allow us the honor of giving you a few last pieces of advice. Don’t bask in the glory of your admissions decisions for too long. Once you’ve made your final decision, start writing a “to do list” of items that require attention (housing form, orientation, registering for classes, placement tests, etc.). You should also talk to your peers, parents and guidance counselor about your thoughts and feelings regarding graduation and going off to college. Both are major milestones and both generate a good deal of change. You’re likely to feel a rush of different emotions. Know that that’s normal and completely acceptable. Some people don’t have the drive or desire to attend college. And that’s totally fine. If you do not plan to enroll in a four-year college next year, explore admission opportunities at a community, vocational, or career/technical college. There are a wealth of opportunities out there for those who want to take a different route. ‘Tis the season’ of notifications. Once you’ve pondered your admissions decisions (including financial aid packages) and selected your chosen school, tell your guidance counselor/advisor (and maybe your family and friends). You’ll also need to reach out to any schools you got into but whose offers you’re declining. They also need to know how to plan for their upcoming year. Finally, if you are on a “wait list,” check on your status. Submit additional information on your activities and honors since you applied in the fall. And, as a precaution, be sure to enroll in one of the universities that did accept you. You can always decline if you get off the wait list. Summer doesn’t have to be a time of complete slackdom (though we’ll admit that does sound lovely). Consider taking a course at a local college to get a head start on your college credit hours. This might save you money in the long run. Alternatively, think about securing a job or internship. You’ll learn how to navigate an office/work environment and you’ll acquire invaluable professional experience. Sure, you want to savor what could potentially be your last summer at home. However, you should give some thought to securing a job. It’s a great way to get a taste of the working world, add a line onto your resume and earn some pocket money for the upcoming year (trust us – you’ll want some). The work doesn’t end after the admission decisions have been mailed out. First off, you’ll need to have your final transcript sent to your chosen school. More importantly (or at least more fun), it’s time to start planning and prepping for college! You’ll likely have lots of forms to wade through, some with hard deadlines. Make sure you read everything carefully. After all, you don’t want to arrive on campus only to discover the dorms have already been filled (though pitching a tent on the quad is underrated). You should consider registering for your school’s orientation program. The events and activities provide a great transition into college life and ensure you’ll see some friendly faces around campus. And who doesn’t love playing a variety of name games? Let’s face it – the vast majority of college freshman are assigned roommates. And while it’s great to have your own space, roommates do provide some built-in companionship (which can be welcome when trying to adjust to your new surroundings). You’ll likely find out who your roommate is before arriving. Make a point of reaching out and introducing yourself. You can gauge each other’s sensibilities, discuss personal habits and most importantly, decide who is bringing the mini fridge. Unless you plan on commuting (or being a mooch), chances are you’ll have to furnish your dorm room. While your school will obviously provide the basics (bed, dresser, etc. ), there’s plenty you’ll need to bring. From laundry bags to comforters, sit down and make a list of possible items. This will save you from making multiple trips to the local Target or Wal-mart when moving day arrives.